“Lamarck” is at once a homage to a great scientist and thinker and a prophecy for the future of mankind. In it, Mandelstam contemplates the ramifications of Lamarck’s conception of evolution as an ever-changing “ladder,” with man at the top. 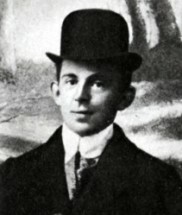 Ultimately, Mandelstam uses this poignant and beautiful poem to posit questions about man’s role in history that resonate with the ideas prevalent during the Russian Revolutionary period. In this world, shaped by cataclysms and adaptation, will man someday stop being human? Several translations of this poem into English do exist, but I have yet to find one that even attempts to conserve the meter or rhyme. That is precisely my goal here. Whom to defend its honor did Nature employ? What fiery fencer? 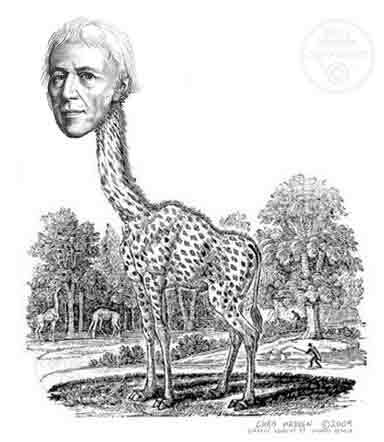 But of course, Lamarck. The final rung I’ll gladly take. I’ll shrink and disappear, like Proteus. I’ll plunge my curly tendriled lengths. With stiffened legs and shotglass eyes. Your sight has gone away—tell seeing goodbye. This force is stronger than our strength. Like a sword into its dark sheath. Whose breath is red, whose laughter supplely grows. If you look carefully at the Russian version, you can see that “Ламарк”=”Lamarck” is at the ends of the fourth and seventh lines. Staying true to this original rhyming scheme, I have done the same in the English. Notice the proliferation of “s” and “sh” sounds. I’m trying to imitate the “zh” and “sh” sounds in the Russian. I couldn’t let this major poetic detail get completely lost in translation, so when I put together my lines I decided to make them as similar as possible, and to preserve the same, rhyming endings. The nice surprise was that “brain” and “bridge” do help preserve the similarity somewhat.